Walking the full French Way from St. Jean Pied de Port to Santiago. Arriving at the Cathedral of Santiago de Compostela after a journey of 791 km. Leon, Burgos and Pamplona - Northern Spain's most beguiling cities. Enjoying wonderful camaraderie with your fellow pilgrims. 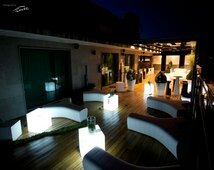 Varied landscapes including the dramatic Pyrenees, lush Galicia and immense plains. 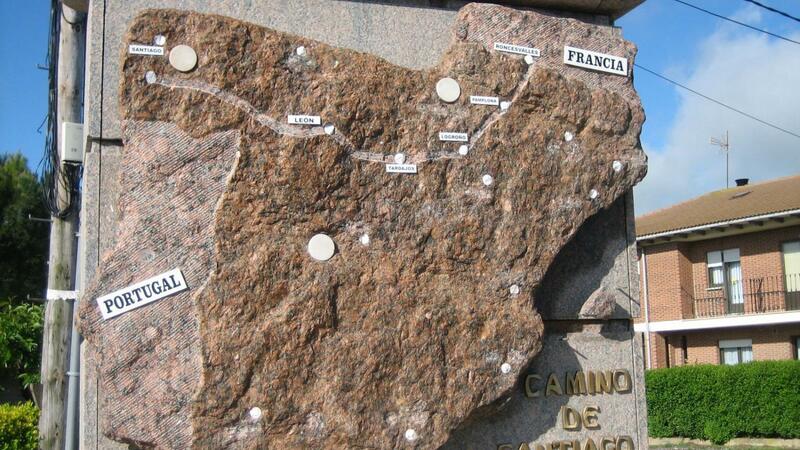 Walk the full Camino Frances (Way of St James) - a journey for the spirit and soul that millions of travellers complete year after year. Setting off from St Jean Pied de Port in the foothills of the Pyrenees, and finishing in Santiago de Compostela, you will enjoy an incredible sense of achievement and build a wonderful camaraderie with your fellow pilgrims. Take in varied landscapes, from the majestic Pyrenees to the lush green valleys of Galicia, to the immense plains of Sierra de Campos. And enjoy overnight stays in some of Northern Spain’s most beguiling cities including Burgos, Leon, Pamplona and Santiago. This walk is one sure to stay in your memory for a long time to come! The full Camino Frances (Way of St. James) from St. Jean Pied de Port to Santiago de Compostela is made up of the following stages. Our standard daily itinerary is detailed on the right. This itinerary can be tailored to suit your plans. Your journey starts in St Jean Pied de Port, which straddles the French and Spanish border. The Camino begins by crossing the Pyrenees to Roncesvalles, where your journey through Spain begins. Leaving Roncesvalles you cross mountain passes through beech and oak woods alongside the River Arga. The high mountains and deep valleys of the Pyrenees soon give way to the undulating plain that surrounds the fortress town of Pamplona. Leaving Pamplona, the route to Estella passes through olive groves and small towns including Villamayor de Monjardin and Los Arcos. As you approach Logrono, the regional capital, you cross into the wine growing region of the Rioja. Logrono is a large town today of 120,000 but owes it's development to the Camino de Santiago and evidence of this is in the old town which is laid out along the line of the Camino. The first part of this stage is relatively easy and the landscape is filled with vineyards. As you head towards Santa Domingo, country roads dominate and you pass mountain ranges to the north and south. The Camino then takes you through farmland until you reach the Oca Mountains. Before reaching Burgos, you descend into the valley of the Pico river, and the spires of the magnificent Gothic cathedral come into view. A rest day in Burgos allows for exploration of this great city which was the capital of Old Castile for almost 500 years and home to El Cid in the 11th century. Farmland dominates the landscape on the first part of this stage before the River Pisuerga brings you into Palencia and into the immense plains of the Tierra de Campos. You continue your journey past Carrion de los Condos to Leon. Leaving Leon the countryside is characterised by broom, heather, oak trees and conifer plantations. 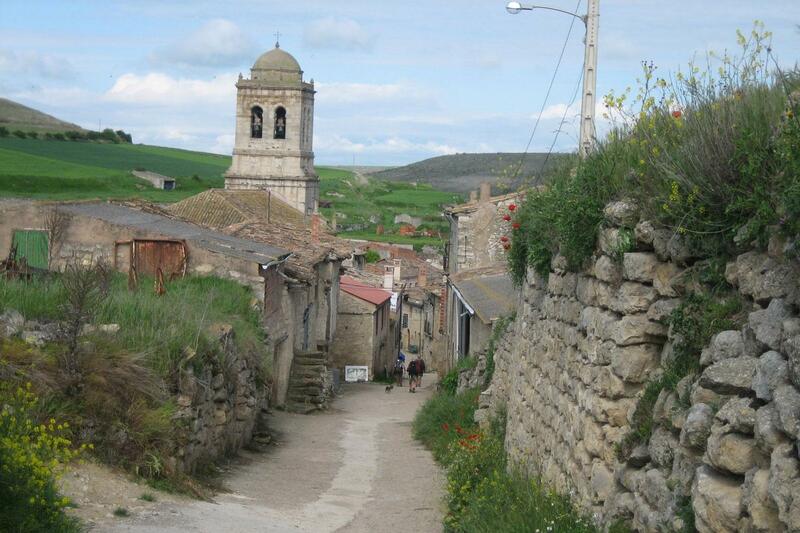 The Camino continues towards Mount Irago before making your way down to the wealthy area of Bierzo. The final part of this stage is challenging as it involves a steep climb to O’Cebreiro in the course of only a few kilometres. However, it is well worth the effort as this little village is where you will spend the night. It has delightful little round stone huts with straw roofs, which, until recently were still inhabited. The final, and most popular, stage of the Camino Frances passes through the Sierra of Ranadoiro and descends into the valley to Triacastela. You pass through many hamlets dotted along cultivated land, in the direction of the great river Mino, to Portomarin. Pine groves and Eucalyptus trees can be seen as you enter the farming region of Ulloa. As you enter the province of A Coruna the landscape changes as the woodlands begin to disappear and you will soon see the spires of the Cathedral of Santiago de Compostela in front of you. 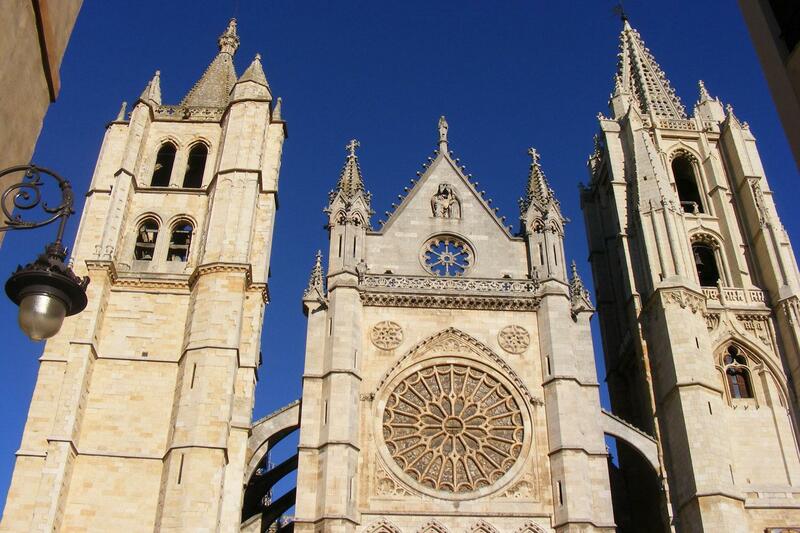 Arriving at the Cathedral of Santiago de Compostela is a magical experience at the end of your Camino. 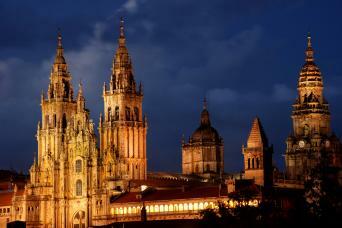 We allow an extra day in Santiago so you can attend the Pilgrim's Mass and explore the city. 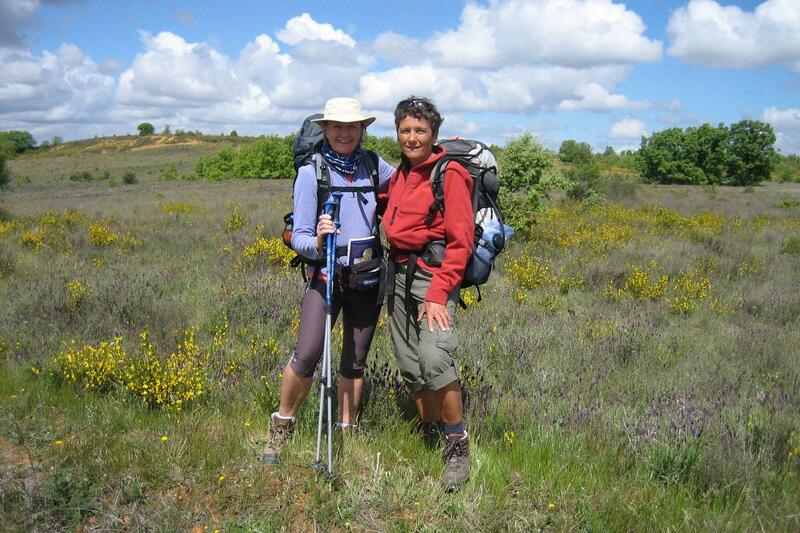 We can tailor-make your Camino to exactly meet your needs. Adding or reducing the number of nights and rest days. Contact our specialists to start planning your Camino. Purists might want to consider adding the extension to Finisterre in order to finish their Camino on the beach. 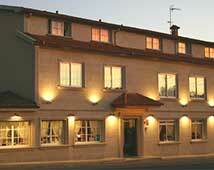 Our Camino tours include small hotels and inns close to the route of the Camino. 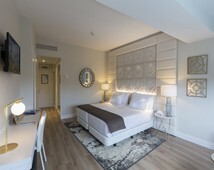 You will always have a private room and en-suite (attached) bathroom. 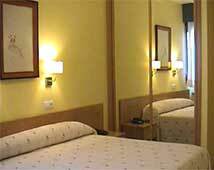 In the larger cities like Pamplona, Sarria, Leon and Santiago, you will stay larger 3-star hotels; the other nights will be in a mixture of rural hotels and hostels all with private rooms and en-suite bathrooms. Some examples of accommodation we regularly use are detailed below to give you an idea of what to expect but your confirmed accommodations will be sent to you with your confirmed itinerary and documentation. A light continental breakfast is included each morning, which can sometimes just be coffee, bread and orange juice. Lunch and dinner are not included so you are free to choose from the available options. Each night will have evening meals available; you can get a pilgrims menu for about 10 Euros which includes 3 courses, wine and water! 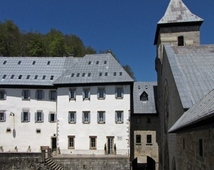 Former home of the Beneficiaries of the Collegiate Church of Roncesvalles, this property was built in the early eighteenth century and has been recently restored. It consists of 24 apartments of 2, 3 and 4 beds, each with a living-kitchen, bedroom and bathroom. Right on the edge of Taconera Gardens, this is a 4-star property with air-conditioned modern rooms with a fantastic location in the centre of Pamplona. 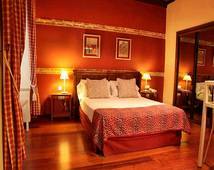 A small hotel in the old part of town and close to the river, which has been lovingly restored from a building dating back to the 17th century. Behind the beautiful façade of a former theatre guests will be surprised to find a contemporary hotel with comfortable rooms inspired by the Grand Theatre that gave it its name. Set in a former monastery featuring stone arches and old beamed ceilings, this hotel has wonderful character and spacious rooms. 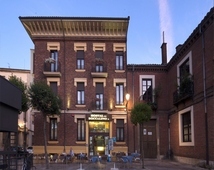 A wonderful accommodation in a prime location in Leon. All rooms have Jacuzzi showers and this is a great spot to wander around the city. A beautiful old house formerly used as a haystack which has been lovingly converted into a rural inn the friendly owners. 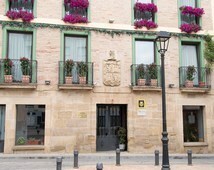 A small simple hotel in a building which was previously the town hall and now offers a warm welcome to walkers on the Camino. When you enter in A Tafona do Peregrino you realize that it is not a conventional hotel, it is bursting with personality, with great, friendly service to match. 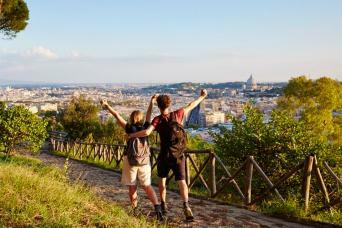 You can start your Camino anytime between April and Mid October. Please be aware that should you wish to travel during the San Fermín Festival in Pamplona, then accommodation at this specific location is normally very difficult to secure and the hotels may charge a premium. We will always do our best to make arrangements for you, however, at busy times a supplement may be payable for transfers or superior accommodation. The weather on the Camino will change slightly as you travel from the Pyrenees over to Galicia. 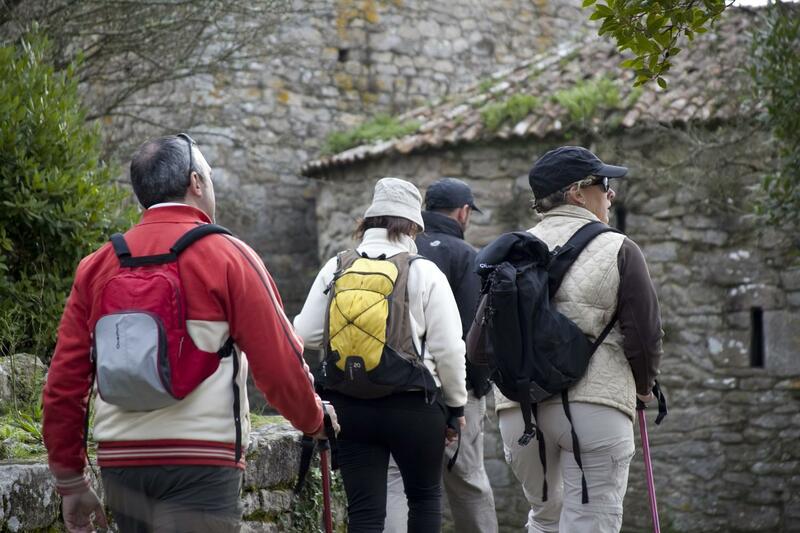 The spring months of April and May tend to offer nice mild conditions for walking although the nights can be quite cold at this time of year and there can be quite a lot of rain in the region of Galicia at this time. The summer months of July and August can get very hot and humid. The autumn from late September through to October offers cooler temperatures again although daylight hours start to become less at this time. The region of Galicia in particular experiences higher rainfall than the rest of Spain so you should come prepared with waterproofs! This walk is graded moderate and includes daily walks of 19-28km so you will be walking for between 5 and 8 hours each day. The trail consists of a mixture of dirt tracks, minor roads and footpaths. The Camino is very easy to follow. The route is marked with yellow painted arrows and a yellow shell on a blue background. The detailed travel pack we supply includes a detailed guidebook including maps, a detailed information pack for planning and preparing for your Camino, detailed instructions of how to find your overnight accommodation and everything you need for your Camino. The Pilgrim Passport is issued by the Church of St James, you will find this in your pack waiting for you at your first hotel. Alternatively, you can obtain one at the start of your walk in the Pilgrims’ Office or the local church in town. You need to get the passport stamped in churches, restaurants and hotels along the way. 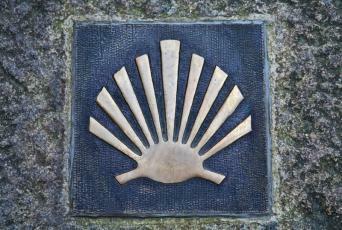 At the end of the walk in Santiago, you can obtain your Compostela Certificate (only if you have walked the last 100km). The best place to fly into to get to St Jean is Biarritz airport. You can get here easily from the London and Manchester with Ryanair or if you are travelling internationally it is often a good idea to fly into Paris and either take the train down to Bayonne with SNCF, or to take an internal flight with Air France or Easyjet to get to Biarritz. From Biarritz, you simply take the bus from outside the airport to Bayonne rail station (20 mins) and then from there take the mountain railway up to St Jean (1.5 hours) which you can book in advance with SNCF. You can fly directly from Santiago back to the UK with Ryanair who fly direct to Stansted and Easyjet who fly direct to Gatwick. 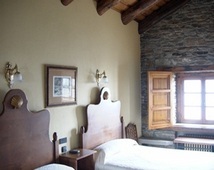 39 Nights accommodation in small rural hotels and hostels, twin/double rooms with en-suite W/C. A detailed information pack including route notes, maps and local information. Camino guide book with maps. Emergency support from our local and UK offices. Below you will see the answers to our FAQ's. 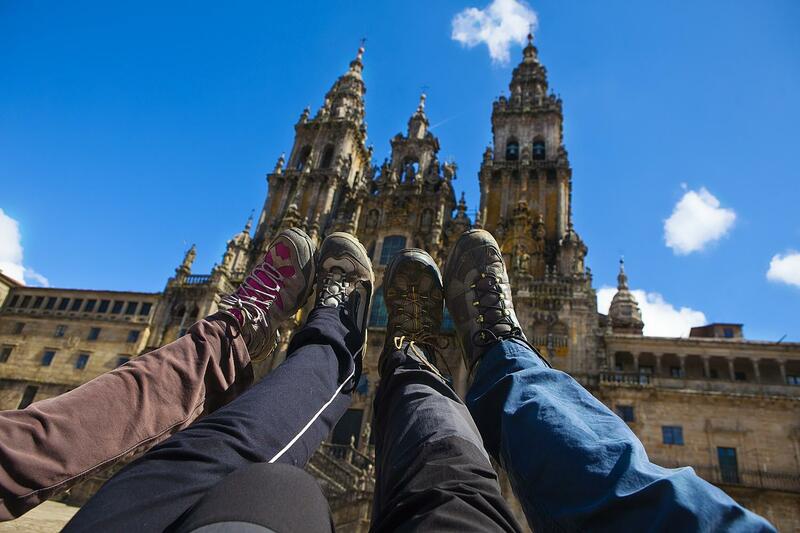 If you are considering the Camino please download our Free Guide to the Camino. You will also find numerous Camino articles on our blog. 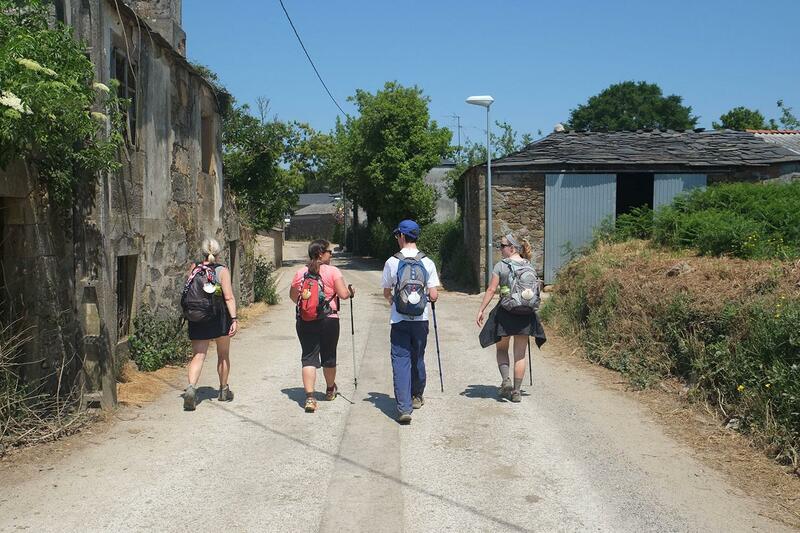 The average daily distance of our Camino tours are between 20 and 25 kilometres and you can expect to walk for between five and eight hours each day. You should do as much walking as possible prior to your walk as this will simply add to your enjoyment. Although you can walk the Camino at any time of year we would recommend April/May/June and September/October when the weather is at its best for walking. July and August can be very hot and are busy. Public transport and taxis are available if you are need of support contact us and we will be more that happy to help. You can start on any day of your choosing, subject to availability. My wife and I live in the U.S. and are very well traveled, both domestically and internationally. We have had the good fortune to have been able to visit Europe and other international destinations many times and have even participated in other long distance walking trips. 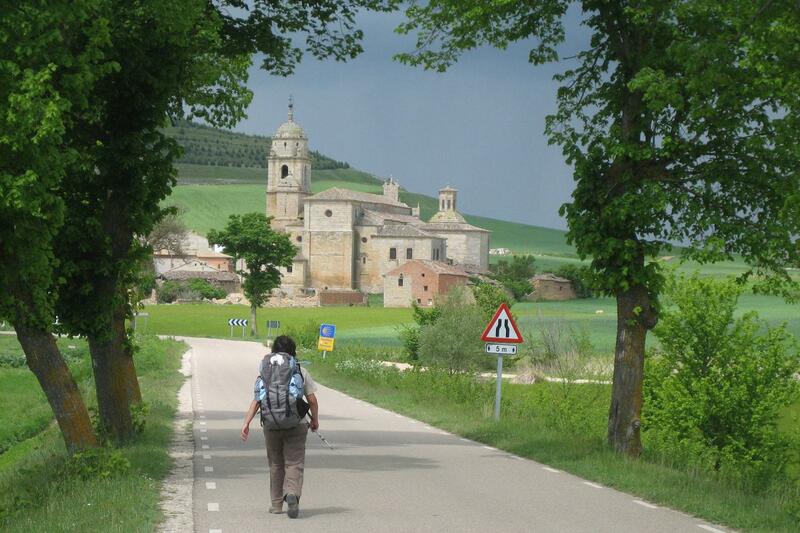 Walking the full the Camino Frances, however, was special and in a class by itself. It turned out to be much more than just a vacation or an adventure walk for us and we will never forget it. The friends we made and the experiences we enjoyed together were simply extraordinary. Can't recommend it enough. Our normal practice is to book all our accommodations and travel arrangement ourselves, however, having Macs Adventures take care of it all for us in advance was very welcomed in this case due to the many bookings required. Thanks to Mac's, everything went smoothly and without a hitch. Although it is possible to book lodgings on-fly, what you lose in spontaneity by booking in advance, you gain in peace of mind that you will not be turned away or be forced to make unwelcome compromises about the quality or your accommodations. Or worse, have to walk farther than planned just when you are ready to call it a day. 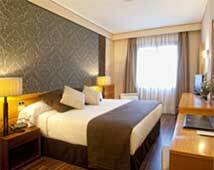 We are long past the stage in or lives where we want to be staying in albergues (dormitory style hostels). A private room with a private bath for us, thank you very much! (We need our sleep :) That is exactly what you get when you book with Macs. More than that, we were pleasantly surprised by the quality of our accommodations. Most were in appealing little B&Bs and boutique hotels typically located in the historic center of town. 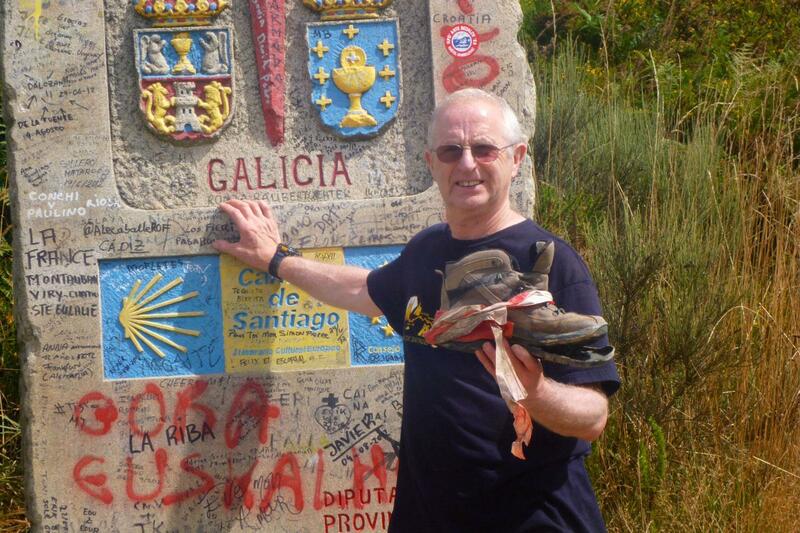 My reasons for walking the full Camino were: I was seeking a spiritual experience; I like adventure; to challenge myself; to celebrate turning 70; and to "get away from it all" for a while. I'm glad we made this trip, but once was enough. This trip was really, really hard, but so much fun. We had such a good time. We have been back almost a week, and we are still talking about it. Even while asleep. our dreams are about the Camino. We were in Spain for almost two months. It was really hard, but worth the effort. It is something I will never forget. The luggage transfer service worked perfectly. I recommend it. Some of the lodging was 4-star, and some was a little more rustic, but all seemed clean. One complaint was that in Roncesvalles, at the end of a very hard day, we found that our room was on the 5th floor and there was no elevator. I had to lug two 40 pound suitcases up all those stairs and down again in the morning. Also, there was one hotel that had an arrangement with a restaurant to provide the breakfast. It was supposed to be open at 7 am, but when we arrived at 7:15, it was still closed, so we had to buy our own breakfast elsewhere. The maps you provided showing the locations of the hotels are not very good, in fact in some cases, they are useless. The written directions are also poor. The English should be rewritten by a native English speaker. In one large city, I spent over an hour walking around, asking people (in English and broken Spanish) where the hotel was located, with each person getting me a little closer. It shouldn't be that hard. All in all, it was a great trip, one that I can't stop thinking and talking about, and I'm thankful I was able to do it, but it was very hard, and anyone considering it should know that. 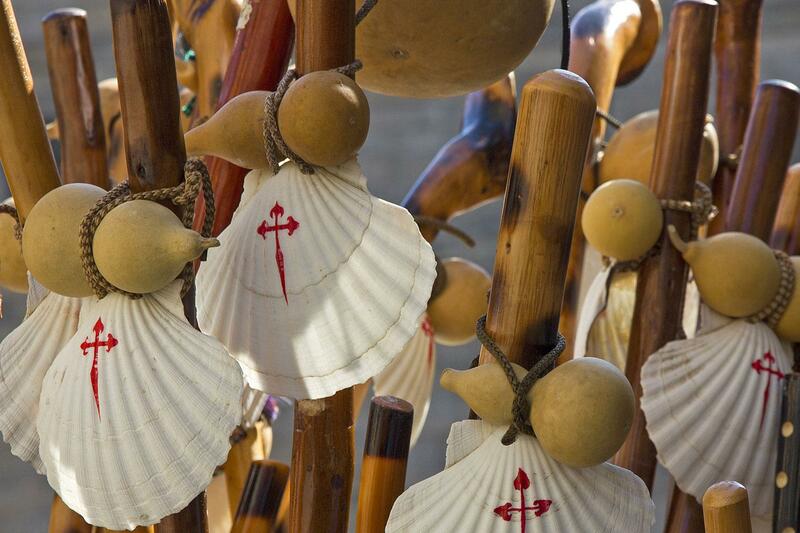 We would urge anyone with any spirit of adventure to undertake the Camino. You will not be disappointed with the sheer comraderie from like minded people from around the world. Northern Spain offers the best of food,wine and scenery and of course, walking! SInce my first email to Mac, Rachell, my advisor was very helpful in answering all my questions and needs before my first French Camino de Santiago. Will keep using MAc for my next adventure. We had a fabulous well organised trip. The accommodations for the majority of our trip were wonderful, some beyond expectation. Others, however, should be taken out of Tee Travels list of choices. The fellow pilgrims and gorgeous scenery made this trip so enjoyable. A great walk -- that everyone can enjoy. This was my first extended hiking trip. I chose to stay in hotels and have someone move my luggage from hotel to hotel. Doing it this way, allowed me to focus on the hike, not have to carry 40 (or so) pounds on my back each day, be a lot more interactive with fellow hikers you meet on the trail. The only downside to hiking this way, is that you do not get the same amount of community that others do. A great trip! The accommodations were varied, but all were very nice, clean and comfortable. 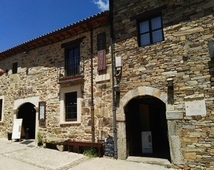 We did the itinerary suggested by Macs (35 walking days, and 2 rest days), and if I were to do it again, I would add a rest day in Pamplona and again in Sarria. The rest days were needed not only to rest the body, but also it was fun to explore some of the great cities we walk through. As for the luggage transfer, it went perfectly. I left my cooling towel behind in Akeretta, and macs got in touch with the transfer company and arranged it's return to me 2 stops later. I was thrilled to get it back - thanks Macs! Just got back from my Camino de Santiago. I did the entire French Way from St. Jean Pied de Port to Santiago. It was easy to customize to my needs and I added a few rest days in advance every week or so as well as broke up the trip when I thought I would need shorter days. Macs staff were helpful. All of my 35 bookings went without a hitch although some were a bit hard to find at the end of a long day of walking. All included breakfast. The app was very helpful to find my location. You have to arrange everything in advance so really need to plan and last minute changes may not be possible or raise the cost. Mac Adventures were recommended by a friend. I tested them against others and they were my preferred choice. I was assigned a customer service representative, that I sent exhaustive questions to over an 18 month period, he was helpful, courteous, knowledgeable, encouraging, and prompt. If you are looking for the true Camino experience then the full Camino Frances (French Way) from St. Jean Pied de Port to Santiago is the life changing experience for you.